Some 20 years ago, Rotarians in Glen Waverley were delighted to host Tammy, a Youth Exchange girl from the United States. Now she a is a mature woman with two rapscallions. She came to Melbourne, lived as an Australian girl for a year and returned to her native country. 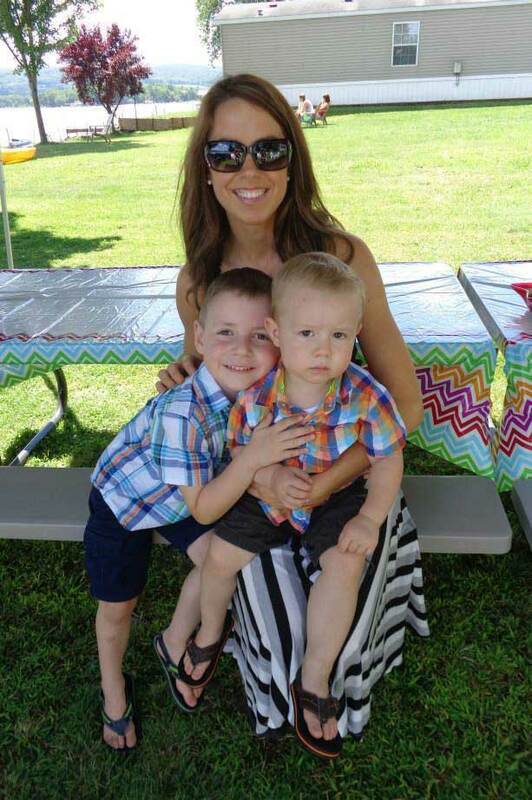 we would also guess that those wider horizons will pass on to help her in the incredibly difficult task of parenthood. Incidentally, Tammy, if you read this, there are a lot of people volunteering to pick you up at the airport if you come back to visit us! Just a few short months ago we bid farewell to Niklas from Germany. 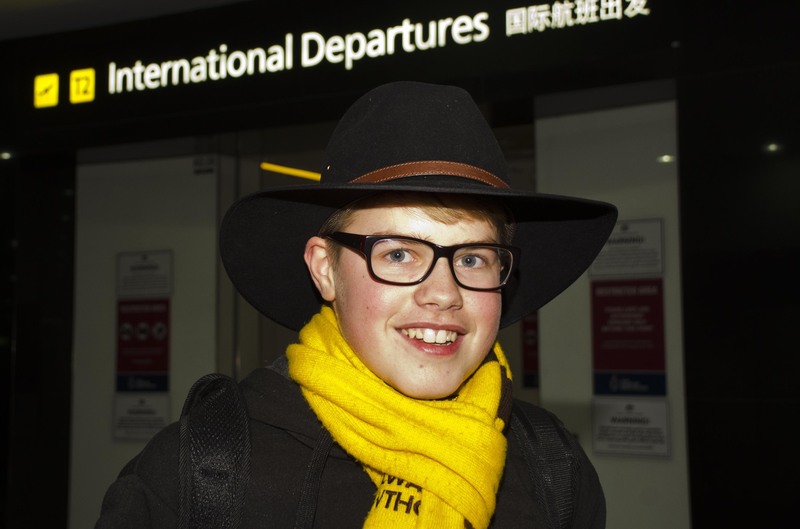 The Akubra Hat and Hawthorn scarf show the Australian influence.Just a few short months ago we bid farewell to Niklas from Germany. The Akubra Hat and Hawthorn scarf show the Australian influence. Like Tammy, his year in a foreign country will be a lifelong influence in his developing life. We hope he will remember it fondly as we remember him fondly. 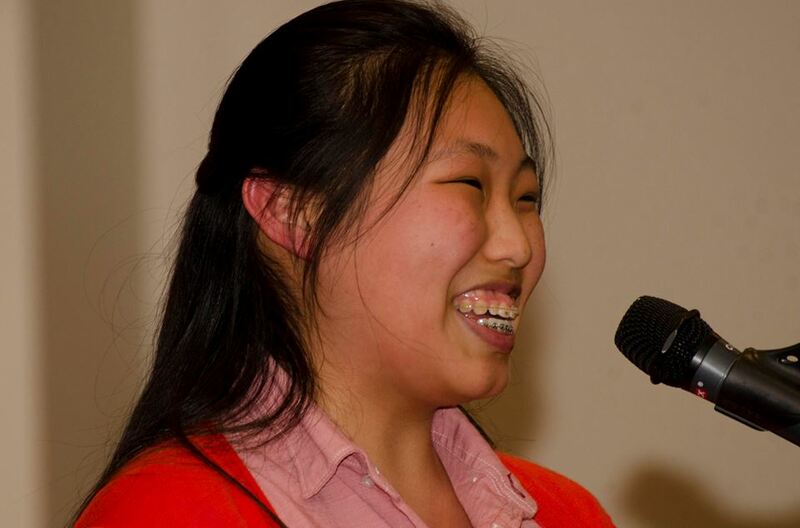 Just a few short weeks ago, Ji-Woo came to the Rotary Club of Glen Waverley to be introduced to the members. The club are to sponsor her in a year in South Korea. As with Tammy and Niklas, we hope this will be a fabulously enjoyable year for her, and one which will be of endless use to her in whatever career she chooses.